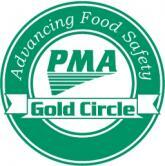 Food safety is a very important issue in the produce industry. That is why Coastal Growers has taken the steps to ensure the produce we grow is absolutely safe for consumption. Here at Coastal Growers, all farms, harvest crews, and packing facilities go through stringent third party audits annually. Also we use traceability procedures that allow you the consumer to check and where your produce was harvested and the level of food safety for that particular product. Our goal is to continually improve our procedures and increase your confidence that the produce you purchase from us has met the highest standards in the industry. At the store, purchase produce that is not bruised or damaged. At home, chill and refrigerate foods. After purchase, put produce that needs refrigeration away promptly. Fresh produce should be refrigerated within two hours of peeling or cutting. Leftover cut produce should be discarded if left at room temperature for more that two hours. Wash hands often. Hands should be washed with hot soapy water before handling fresh produce, or raw meat, poultry, or seafood, as well as after using the bathroom, changing diapers, or handling pets. tap water immediately before eating. Don't use soap or detergents. Scrub firm produce, such as melons and cucumbers, with a clean produce brush. Cut away any bruised or damaged areas before eating. Wash surfaces often. Cutting boards, dishes, utensils when handling fresh produce. If possible, use one clean cutting board for fresh produce and a separate one for raw meat, poultry, and seafood. During food preparation, wash cutting boards, utensils or dishes that have come into contact with fresh produce, raw meat, poultry, or seafood. Do not consume ice that has come into contact with fresh produce or other raw products. transporting or storing perishable food outdoors, including cut fresh fruits and vegetables.